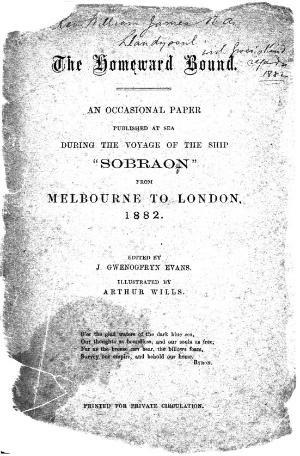 An irregular general periodical published during the voyage of the ship "Sobraon" from Melbourne to London. The periodical's main contents were news and light-hearted pieces about the voyage. The periodical was edited by the palaeographer John Gwenogvryn Evans (1852-1930) with illustrations by Arthur Wills.